This album came out ten years ago and was a lively infectious take on contemporary reggae. 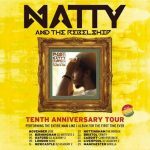 Natty and the Rebelship band now plan to perform the whole album live in their forthcoming tour of the UK. The tour is scheduled for Autumn 2018, kicking off in Milton Keynes on 2nd November and concluding in Manchester on 29th of that month. Prior to the tour, a limited-edition reissue of the album is planned for September 2018. Released on no less than the Tuff Gong label, ‘Man Like I and I…X’ will be a double-vinyl remastered version of the original ‘Man Like I’ album together with new recordings of favourite tracks featuring some of Natty’s associates including Seun Kuti, Benjamin Zephaniah, Maverick Sabre and El Fari and Ramzi (from Palestinian band 47soul). The album also shares an acoustic version of live favourite “Bedroom Eyes” and a track Natty recorded with Sly & Robbie that did not feature on the original album, alongside four further new original tracks to complete what has justly been described as a ‘collector’s package’. Natty and the Rebelship: ‘’Man Like I and I…X’, release September 2018 on Tuff Gong records. 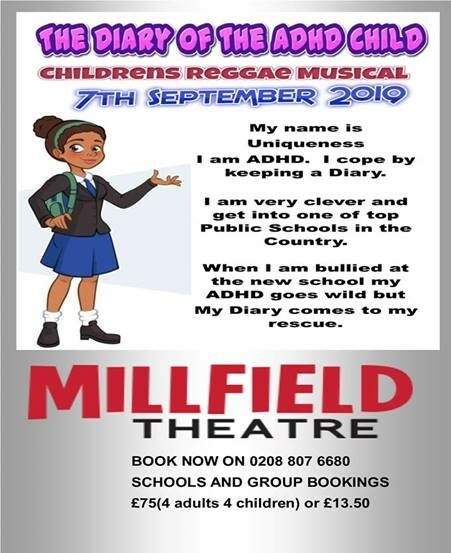 With tour dates coming up in Britain, France, Holland and the USA, plus a forthcoming new album due for release, things are on the up for Hollie Cook (see reggaemusic.org.uk 15 October 2017, 9 July 2014, 29 April 2012). Here’s a video for ‘Angel Fire’ in a gig she did for Amnesty International this Autumn in London. Great stuff. The second Positive Vibration – Festival of Reggae 2017 – is scheduled for 9th and 10th June across three venues in the Baltic Triangle area of Liverpool. The Friday session features Jah Shaka’s London-based roots reggae sound system while Saturday headliners are none other than the Selecter. 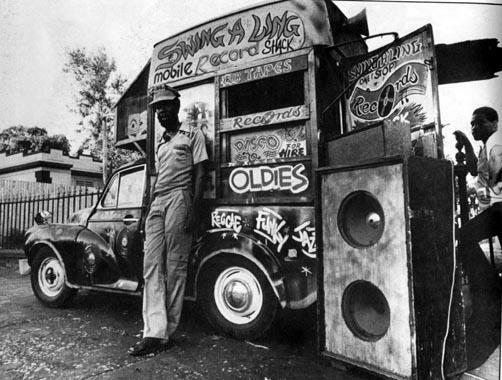 There are soundsystems from Trojan and Soul Jazz labels, along with Saxon Sound System, Don Letts and Aba Shanti-I. Positive Vibration is a cultural as well as purely musical event, and there will be an art exhibition entitled, not unreasonably, the Art of Reggae. The festival is also due to feature panel debate with the Selecter’s Pauline Black, along with Mykaell Riley and guitarist Dennis Bovell. Tickets from Skiddle.com. What a great way to work off the post-election blues. To coincide with Lee Stratch Perry’s 80th birthday this new film is a celebration of his massive and eccentric contribution to reggae. It can be seen via UK film screenings around the country in February and March, and subsequently through DVD and Video On Demand (iTunes, Amazon Prime, Netflix). Mr Perry will also perform live at some UK dates in March. If you are reading this you will already be familiar with Lee Perry’s unique musical career, starting with his work for Clement Coxsone Dodd’s label in the late 1950s, a further apprenticeship at Joe Gibbs’s Amalgamated Records, before setting up his own label (and eponymous house band) the Upsetter in 1968. He built the legendary Black Ark Studio in 1973 where he produced records for no less that Bob Marley and the Wailers, Junior Byles, Junior Murvin, The Heptones, The Congos and Max Romeo. Along the way he pretty much created what we came to know as dub and at the time of writing he’s still going strong. Vision of Paradise is directed by Volker Schaner who followed Perry around Jamaica, Ethiopia, Switzerland and London to the point where he could gain an insider’s perespective on Perry’s idiosyncratic world. The film includes footage of Perry himself and of a stellar cast of dub/reggae musicians together with original animated scenes by the artist Maria Sargarodschi, drawn from different elements of Perry’s psychic world. There is also a look inside Lee Perry’s remarkable ‘laboratory’ in Switzerland, now destroyed by fire, but recorded here forever. The DVD version includes a host of extras, including a book and some deleted scenes. In whatever format, this release takes us inside a completely unique world. Here’s a great new 7” single release from London’s Kiko Bun (Federico Marin), a short and to-the-point reggae song with a retro feel. Recorded in New York, its location allowed the involvement of Ticklah – associate of the Easy Star All Stars – at the production desk and he adds a characteristically busy and deep bass-oriented sound. This is especially evident on the ‘B’ side – ‘Where I’m From (I Remember How to Dub)’ – where the dub sound is set free to follow the rhythm wherever it goes. It’s a song that is bound to be revisited and remixed as time goes on, as is already evident in the Tom Misch remix which transforms a neat reggae tune into something more akin to jazz. Kiko Bun: Where I’m From, released vinyl/DDL on Island label. Competing ideological forces in Mali can make it a difficult and dangerous place to follow a musical path. For this reason the members of Songhoy Blues redeployed south from Timbuktu to the capital city, Bamako, in order to continue their work. “We had no idea that one day we could be forbidden from playing music, because music is universal,” says Aliou Toure, the group’s lead singer. They soon came to the attention of Damon Albarn, no stranger to Mali music and ‘world music’ more generally, and the desert band’s world suddenly became bigger, playing at several European festivals and also featuring on the excellent Maison des Jeunes, an album that Albarn and Africa Express recorded in Bamako. The lead single from that album – Soubour – features the Songhoy Blues along with Nick Zinner (Yeah Yeah Yeahs) and shows just what the band can do. For this new hardback book, Ghana-born Belgian writer Joel Savage has interviewed some of the bigger names in recent and contemporary reggae, including Anthony B, Joseph Hill-Culture, Gregory Isaacs, U-Roy, Capleton, Julian Marley, Prince Malachi, Luciano, Lucky Dube, Julian Murvin, Andrew Tosh, ASWAD, Live Wyya, Seun Kuti, Femi Kuti, Faytinga, Manu Dibango, and Tutu Puoane. According to the information release: “In this book the writer speaks to some of the masters behind contemporary reggae and African music. The influence and impact of these great musicians is internationally known and is recounted with warm, sincere, and unrivalled craftsmanship that distinguishes them in the music world”. Alongside this is a photographic record of some of their reggae performances which helps to bring the topic alive. Reggae harmony masters the Mighty Diamonds are due to tour the UK in October, alongside the release of Pass the Knowledge, part of VP Record’s Reggae Anthology series. The release features 40 of their best tracks, many on CD for the first time including some previously unreleased dubplate exclusives. A DVD of The Mighty Diamonds live at Reggae Sunsplash is also set to be included. Touring with the venerable Mighty Diamonds are French rhythm section the Handcart Band. Dates and venues below.